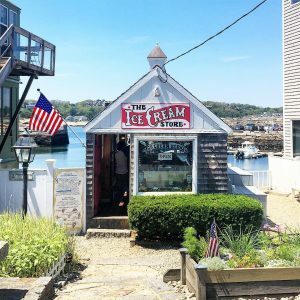 Digital Nomad Destination: Rockport, Massachusetts! Rockport, Massachusetts. 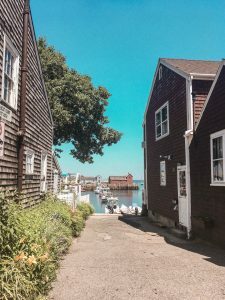 A small coastal town north of Boston, this picturesque village is surrounded on three sides by the Atlantic Ocean. 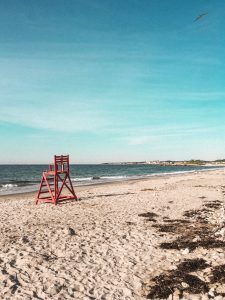 Imagine sandy beaches, seaside ice cream shops and freshly-caught lobster – a perfect destination for anyone who loves summer and old-fashioned charm. Since Markus and I are living the “digital nomad” lifestyle, meaning we’re working while travelling, we weren’t simply on vacation. But it sure felt like it in Rockport. With the beach so close, we’d get up and go for a run before our workday started (although not together, as Markus’ runs were more half marathons and mine were more of the 20-minute variety – and of the variety where you stop and stare at the ocean for a long time, thinking how excited you were to be at the beach). But no matter how far we ran, seeing the ocean, feeling the saltwater breeze on our faces and hearing the waves crash peacefully against the sand was such a rejuvenating way to start the day. Workout finished, with endorphins and beach-induced happiness rushing through our blood, we’d make a smoothie and get to work! We often had the beach all to ourselves on our morning runs. 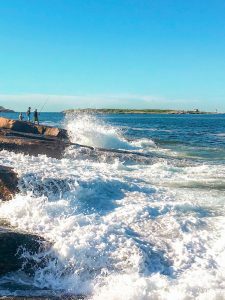 Before we get to the many things we love about Rockport, one piece of advice for the traveler – if you are looking for nightlife, you won’t find much of it in this town. But the reason why is rather hilarious. Apparently, on July 8, 1856, a group of 200 women, sick to death of their fishermen husbands spending their meager wages on “demon rum”, stormed through the town with hatchets in hand. They furiously sought out the kegs, barrels and jugs of alcohol they deemed guilty for their husbands’ vices, dragging everything they found out into the middle of the street and angrily smashing them all to pieces with their hatchets. In the end, the women destroyed over 50 barrels of rum. No one was arrested, and Rockport soon became a town where no liquor could be sold – and remained so until 2005. Over 250 years later, that spirit of temperance still remains, and there are still no liquor stores in Rockport, Massachusetts. So what did we love about Rockport? So many things! 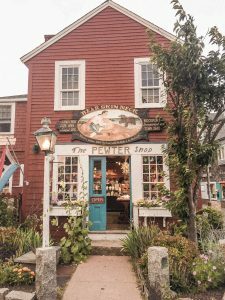 First and foremost, we have to mention Bearskin Neck – a quaint shop-lined street that leads you right to the ocean. 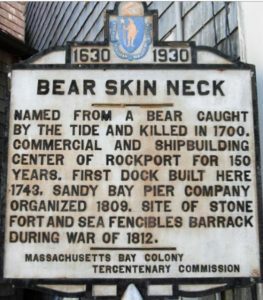 If you’ve seen the movie The Proposal with Sandra Bullock and Ryan Reynolds, you may recognize Bearskin Neck as the picturesque “Alaskan” town where Ryan Reynold’s character grew up – filmed right in the center of Rockport! With ice cream shops, art galleries, seaside restaurants and beach-inspired stores, this street transports you straight back into a simpler time. My favorite store there was The Fudgery, an old-fashioned shop that offers ever kind of fudge imaginable – from chocolate peanut butter to oreo crunch to maple walnut. 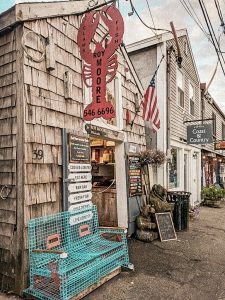 And for Markus, the seafood lover of our duo, Roy Moore Lobster Company was his go-to – with the lobsters caught right off the coast, you can’t get any fresher than Roy’s. Finally, as an Austrian and an Austrian’s wife, we both loved Helmut’s Strudel –a cozy shop providing crisp apple strudel for all homesick Austrians in the area (Homesick Austrians are also in need of bread, wurst and schnitzel, if anyone would care to open up a shop with those items). 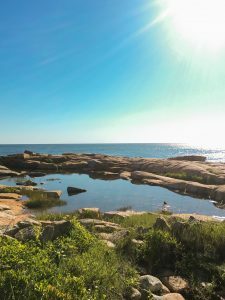 Since the two of us both love nature, Halibut Point State Park, conserved seaside land home to a quarry, winding trails, sparkling tide pools and giant rocks, was one of our favorite places to visit. Those giant rocks jut right out into the ocean, making it a beautiful climbing playground for adults and children alike. Our advice? Take a picnic, sit on the rocks and watch the waves crash against the shore – it’s something you don’t want to miss. 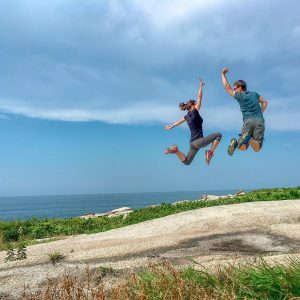 Jumping Around at Halibut Point State Park: Can you guess who’s the gymnast and who’s the soccer player? Another rocky wonder we loved is a little less well-known – and can be found from a hidden path off of Eden Road. Markus led me on a surprise bike ride there one day, and I wasn’t disappointed. As we wove our way through the hidden path’s trees and bushes, the view suddenly opened up – and I was greeted by the sight of a natural pool embedded in giant white rocks, with the waves of the Atlantic Ocean crashing confidently against the stones. In the distance, we could see Thatcher Island, home to two historic lighthouses standing proudly on the land. Not too many people know about this spot, so you may be lucky enough to sit all by yourself, admiring the view. 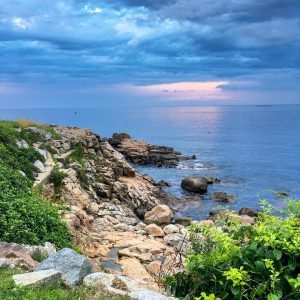 We loved finding these hidden natural wonders when exploring Rockport. 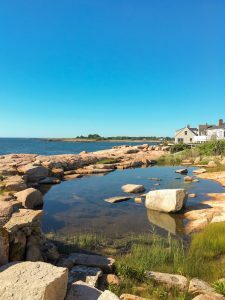 And finally, what would a post about Rockport be without a mention of beaches? Our favorite was Cape Hedge, a gorgeous sandy beach about 2 miles from Bearskin Neck. 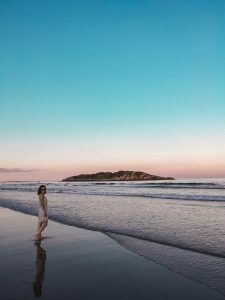 We were amazed at the difference between high tide and low tide there – it was unbelievable how a small beach at high tide became an expansive beach strewn with beautiful rocks at low tide. If you go, just be sure to watch out for the local creatures. We were picnicking there one day when all of the sudden, boom! Thinking someone punched me in the back of the head, I turned, only to be confronted with a seagull flapping in my face, swooping down and stealing the sandwich from my very hand! Apparently he just wasn’t very good at landing – I had a headache all afternoon. But that’s what I get for originally wondering how I was going to eat all of the giant sandwich I’d ordered. But I didn’t let the seagulls get me down. Our wedding anniversary happened to fall during our time in Rockport, and we decided to celebrate by having a sunset picnic on Good Harbor Beach in nearby Gloucester. 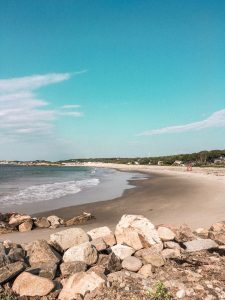 This beach is also beautiful – much more touristy than Rockport’s smaller beaches, but for good reason, as Good Harbor looks like something out of a postcard. With wine, cheese, bread and grapes as our anniversary dinner, we sat and watched the sun slowly go down over the Atlantic Ocean. As did those beady-eyed seagulls that I tried not to notice circling overhead. With our beach adventure behind us, it is now time for the next leg of our trip – Denver, Colorado. 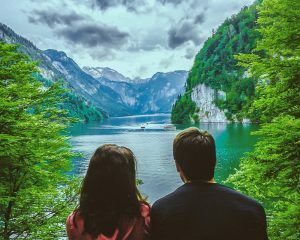 The Austrian of the group is excited to be back among the mountains, and we are both looking forward to hiking, camping and all the other outdoor activities Denver has to offer. If you have any Colorado recommendations, we’d love to hear them in the comments. And don’t forget to follow us on Instagram, Twitter and Facebook to stay up to date with all our latest happenings! Thanks Doohoo! Love you too! 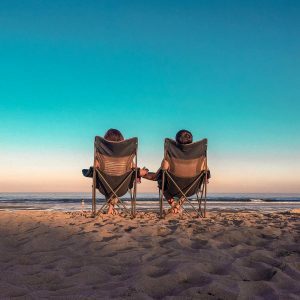 Digital Nomad Destination: San Diego, California! Digital Nomad Destination: Bend, Oregon! Copyright © 2019 A Culture Apiece. Denver, Colorado: 6 First Impressions! Want the latest cultural adventures sent straight to your inbox? Don’t miss out. Sign up today.